Münster, S. - Universelle livre IIII. Universelle livre IIII. - Münster, S.
Title : Universelle livre IIII.. Date : Basel, c. 1550. Size : 9.4 x 6.3 inches. / 24.0 x 16.0 cm. 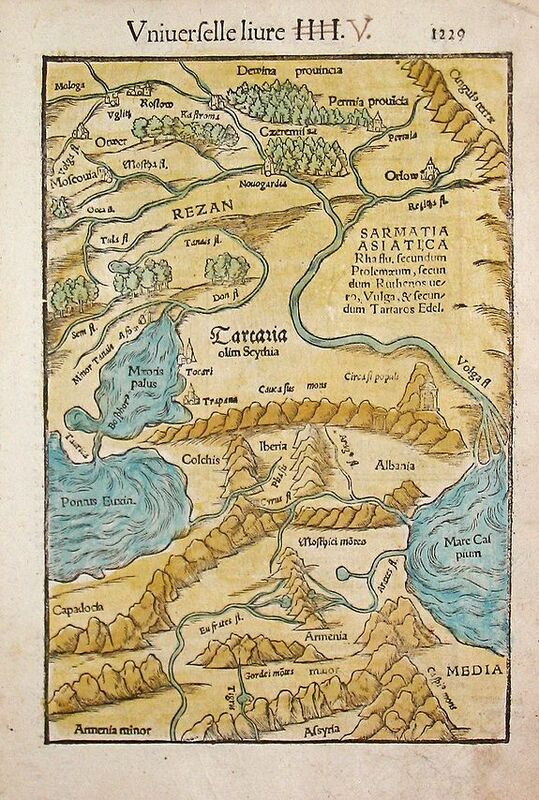 Description :An attractive map of southern Russia and the Caucasus from Sebastian Munster's 'Cosmographia'.